We started with five but lost one to a non-cycling fairy visit before Warlingham. 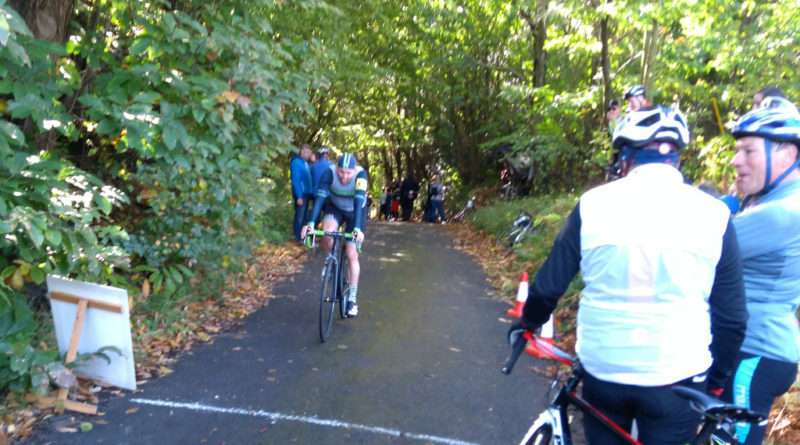 Four arrived at the Catford Classic Climb of York Hill. Cheap tea, baguettes and a super friendly atmosphere pervaded. 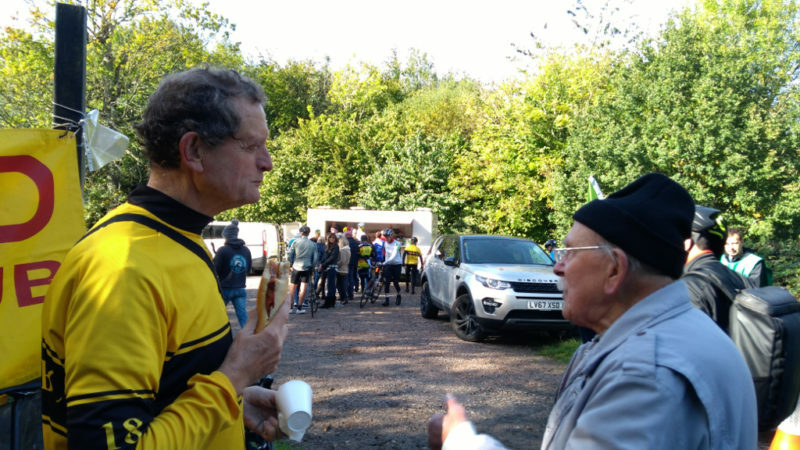 Here John E listens to the history of the climb with Keith H of Catford CC and still very much active. The target was The Chequers at Heaverham. Here we lost Barry for a while to a fellow enthusiast for MZ bikes. 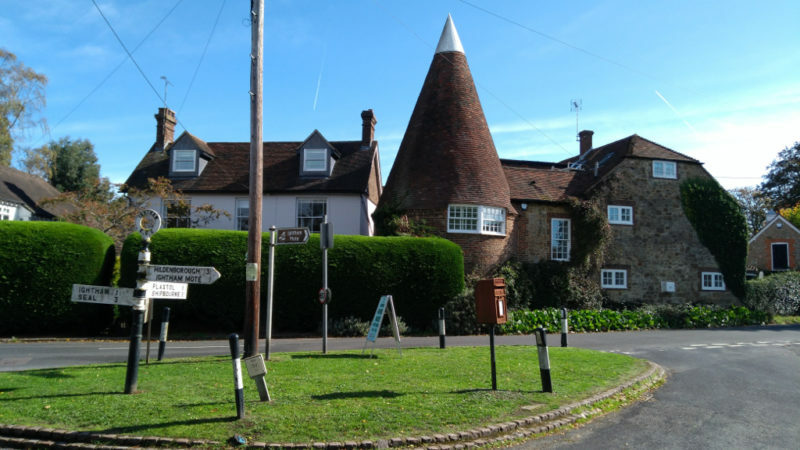 Back via Otford and Pilgrim’s Way. 52.58 miles at 12.64 mph.